Sutton Place, Bond No. 9’s classically masculine newest scent,celebrates that quiet, serene, understated enclave that serves as home to the traditionally male cadre of U.N. diplomats. Got this as a birthday gift to add to my collection... I get many compliments (from men and women) with this one! 1st bond#9 wife picked it ! I like it!! I will be trying more!!! 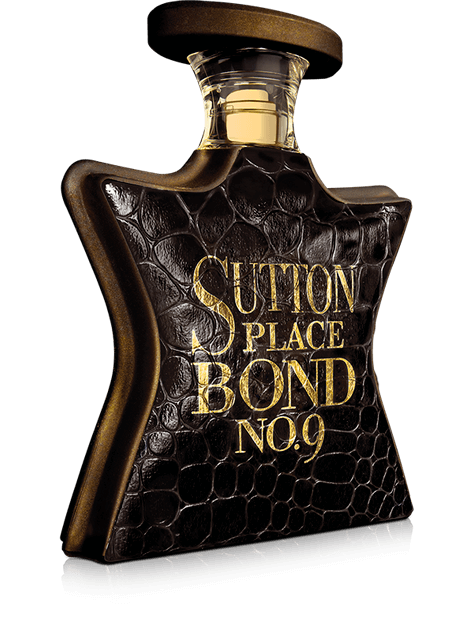 My boyfriend ran out of his perfume (he used Zegna Vetiver before)and I decided to upgrade him to my all time favourite brand, Bond no 9. all Bond's previous male fragrances weer too feminine for him and finally when I saw this leather-like bottle and smelled the scent I thought - that is what he 'll really love. Though it was described as gourmand floral - it is not sweet at all, but more spicy-fresh with pleasant but not overwhelming bergamot presence. It can fit both hi-level office negotiation room and golf club party. On his skin it turned out a bit warmer than on the blotter but that is what he surprisingly enjoyed - he wears it every day and I am very happy about my gift.